Hewlett-Packard’s consumer products boss Todd Bradley has said that "emulating Apple is not part of our strategy". Bradley was being questioned at the TechCrunch Disrupt conference about whether HP’s acquisition of Palm and WebOS was part of a plan to create a range of devices similar to Apple’s. Bradley responded that HP faced difference challenges and that it needed to satisfy enterprise customers with different needs. Bradley said that that five years prior HP had faced calls to emulate system builder Dell’s low-cost strategy but HP decided to differentiate itself from Dell in terms of design and product quality which Bradley said lead to HP capturing market share from Dell. One strategy HP has in common with Apple, however, is that the firm has no plans to licence WebOS to any other manufacturer. Bradley said lessons were learned when he lead Palm’s hardware division following the split of the hardware and software divisions with the software division focusing on licensing. Bradley said that HP is looking to roll out WebOS to tablets, smartphones and other devices like printers. 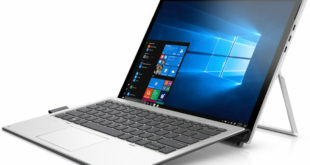 Interestingly while mentioning that the company had produced a Windows tablet, Bradley was less confident of a market appearing for Windows tablets.